The crowd laughs as the president attacks the Senate testimony of Christine Blasey Ford. SOUTHAVEN, Miss. 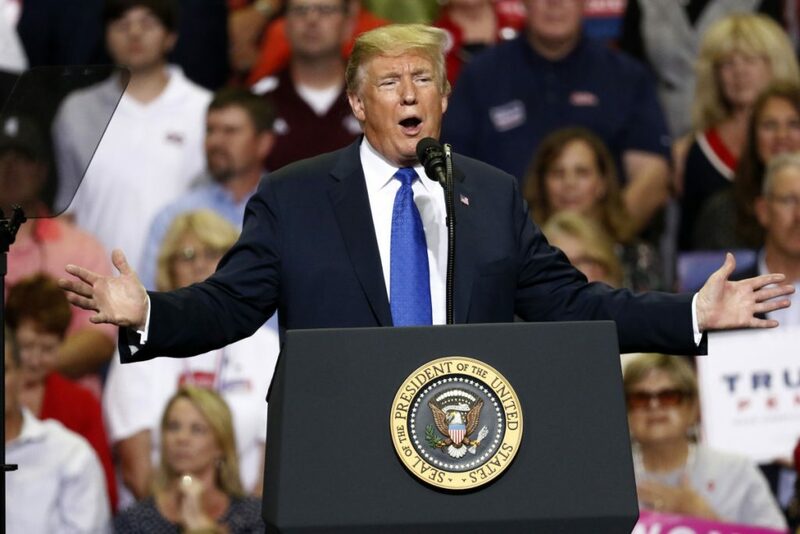 — President Donald Trump ignited a crowd at a campaign rally in Mississippi by mocking a woman who has claimed she was sexually assaulted by Supreme Court nominee Brett Kavanaugh decades ago.